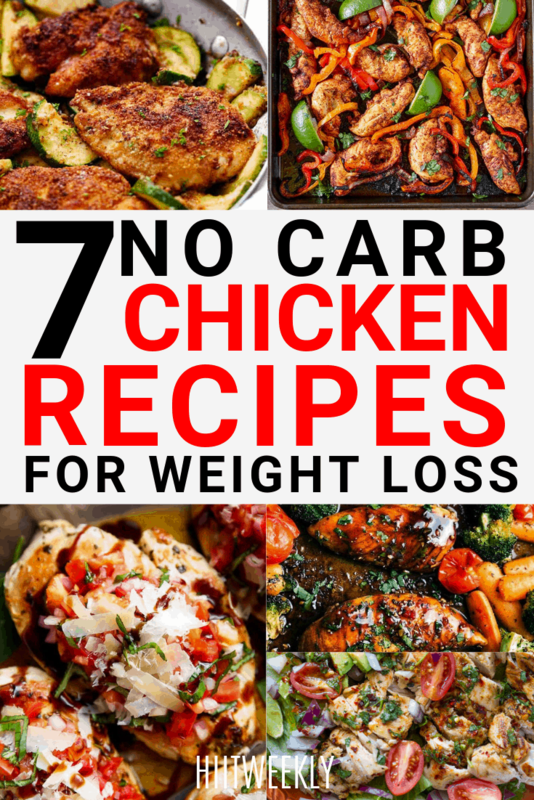 So you want some low carb chicken recipes for faster fat loss. Great, you've landed on the right page! Chicken is one of the best sources of high quality protein that is naturally low in fat and carbs. It's also up there with the most readily available proteins being trumped by Eggs, Cows Milk, Fish and Beef. Apart from eggs and fish the others are either high in fats or sugars. In fact if you are trying to lose body fat there's often a lot of emphasis towards eggs, fish, chicken and turkey for there high protein to low fat ratio. Like many of my clients fish is off the menu and they don't want to eat eggs all day so chicken becomes a must. However, if you have tried eating chicken twice a day seven days a week you'll know it can become very boring and getting excited about whats for dinner soon disappears. Until now that is! We've found seven delicious low carb chicken recipes to help you stay on track so you reach your weight loss goals. Let's get started. One thing to remember, if the recipe has wraps, rice, potatoes or any other carbohydrate just remove it and add extra vegetables or salad. Most of these should be free from carbohydrates. Be foodwise. This paleo friendly chicken recipe makes zucchini noodles more exciting. Prepped and ready within 30 minutes. If you like teriyaki then you'll love this as it's very low in calories whilst being high in protein. There's even an easy to follow video. If you need some colour in your food then this is the one. It's super easy with just six ingredients, Chicken, Tomatoes, Sun Dried Tomatoes, Asparagus, Pesto and Olive Oil. You have to check this one out. We covered a similar one to this in our 7 Day Clean Eating Plan. This one is slightly different but equally as good. Just chicken fresh tomato salsa and a sprinkle of parmesan cheese. So very easy yet tasty. Serve with a side salad to top it off. This one is a slight cheat as it uses a mix of bread crumbs and parmesan cheese to create a coating for the chicken but it still falls into a low carb meal with less then 5g of carbs. So depending on how strict you want to be this is one tasty chicken meal. Again it's a very simple recipe all in one pan! You cant go wrong. Don't let the name put you off this is a great recipe to try, very low in fat and carbs. If you're not a fan of balsamic or want to reduce your sugar intake then cut the balsamic down or use some other seasoning like cajun. If chicken fajitas weren't easy enough anyway you can bake it all in one hit! Most of the calories from fajitas comes from the wraps and sauces. Just hold the wraps and use salad or some lettuce leaves instead. This recipe gives chicken a sweet, salty, spicy and sour taste which goes excellently with salads. Try it with a fresh leafy salad and use the juices from the chicken recipe for added flavour. Start enjoying your meals, they don't all have to be boring and tasteless. All you need to do is watch out for sauces that contain high amounts of sugar or fats.